Adobo (a famous filipino dish cooked in vinegar and soy sauce) is a filipino food favorite. May the recipe be done with pork, chicken or a combination of both. It could be also good with beef. 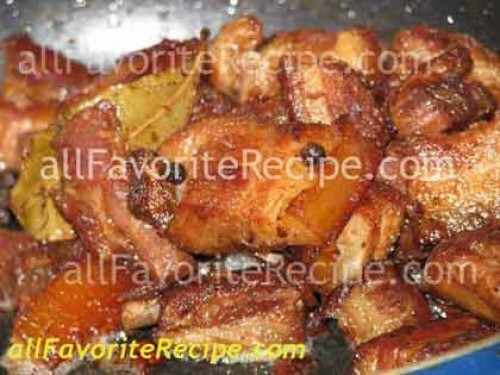 There are lots of variations in cooking adobo recipe, which I have listed below after the adobong baboy recipe. Filipinos (Pinoy –as we call ourselves) love garlicky and tangy flavors of food dishes. That’s why adobo recipe was created. Just by smelling the aroma of it, you’ll surely feel hungry or even salivate. 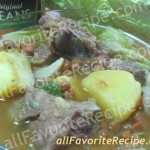 Filipino food like this adobong baboy, is one of my favorite recipe cooking list. Have You Tried These Other Easy Filipino Food Recipes? I’ve tried this for dinner tonight and it’s a big hit…thanks for the tip. My husband liked it. thanks for having such recipe’s in internet.i and my daughter learned how to cook.its amazing.i enjoy it much.i love cooking now.put some more recipe.thanks again.its me aydsdom of squamish canada. thank you so much for the recipe my boyfriend love it . . .
i really really love adobong baboy!!! !hmmmmmmm sooooooo yummyyyy!!!! Thanks a lot… its very helpful to all the ofw around the world!!! i liked this version of adobo. tnx! 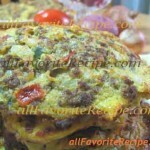 nice recipe I love it..Thank u so so much for sharing ur recipe to us…God Bless You Always.. I miss my mum. she used to cook adobo with a secret ingredient…which makes it jucier and yummier and masaraper…hehe..wanna know it? thank you soooo much for the recipe. my family loves my pork adobo. it’s the first time i’ve ever cooked pork adobo and i’m a filipina! !